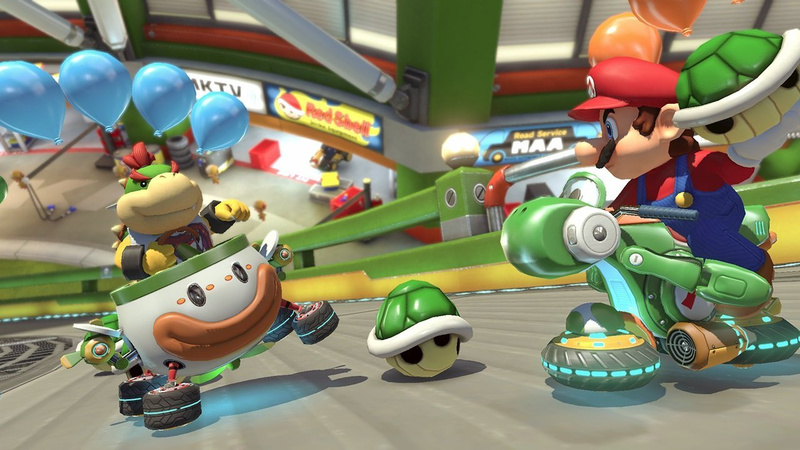 Mario Kart 8 Deluxe may well have been out for over a year now - and has actually been out for over four years if you count the Wii U version - but that doesn't mean that support for the game is over just yet. Head of software development at Nintendo, Shinya Takahashi, recently took part in a short video which found its way to the Nintendo of America Twitter account. As you can see, Takahashi has confirmed that the game is still scheduled to receive future updates. Thanks to the recent addition of support for Nintendo Labo's Toy-Con Motorbike - which can now be used as a controller in Mario Kart 8 Deluxe - it's unclear whether these "further updates" will be Nintendo Labo-only affairs, or whether Nintendo has more DLC content up its sleeves. A racetrack based on Super Mario Odyssey's New Donk City, anyone? As ever, let's get a discussion going on in the comments. Feel free to share your wildest dreams for future Mario Kart updates with the community below. I'd definitely be down for more DLC. It's the kind of game that you can just endlessly add on to with little need to make an outright new installment for the foreseeable future. As for it just being Labo support... It'd be a miracle if I even noticed. I'm inclined to just pretend that stupid thing doesn't exist. Hope they bring some new tracks. @Steel76 I wouldn't mind some new racers as well, they have the weight class system so balancing shouldn't be an issue, heck do an 'Ultimate' update or DLC and release every racer & track that has ever been. Connection to the Mobile game? Come on, NL. This news was out a quite a while a go, and it's not like you had any interesting story full of content about it. Please new tracks. As much as I love the additions to 8, Deluxe hasn’t got as much playtime as I played 8 so much and the actual racing mode didn’t have many new additions besides some characters. Nothing wrong with more Mario Kart! If they release more tracks for this game I will absolutely lose control of my bowels! Yes yes and more yes. I'll be down more tracks and stuff. New tracks please! I'd love to see one based on Odyssey and maybe even a Captain Toad based one! Might sound crazy, but I think a track based on one of those cube puzzle levels could work great in MK8. They already have anti-gravity implemented, it might just work! Also, Captain Toad as playable character. Please bring Maple Treeway and Kooper Cape! By new - Mission Mode!!! Honestly we don't need more characters etc... and what else does multiplayer need? We need more to do in Single player. Maybe even some sort of story campaign. More tracks, battle arenas, characters and vehicles would be wonderful. Having extra content for Mario Kart 8 Deluxe instead of a Mario Kart 9 is exactly what I wanted to see from Nintendo. I think it is good the way it actually is. I'd prefer that Nintendo keep new circuits, ideas and characters for a totally new MarioKart. I'm scared by doing like that, they're gonna loose the opportunity to make a great new entry... I mean, not surprising anymore. If MK8 was poor in content, OK I'll understand but there is a moment to move on... MarioKart 8 is a game from May 2014, time for a new entry considering those 4 years + the time required to make a new one. @BlakeMorris I didn't know about it. I, and probably many others, only use this website for Nintendo news. I wish people would drop the "oh but this is old news" snobbery. More DLC wouldn't surprise me. The game sells loads, Here in Ireland it's one of few games I rarely see on store shelves it sells that much! Having double-dipped with this game and with Wii U DLCs paid, I would like a free update with new characters. They could actually check if users already have Wii U version AND paid for the DLC, right? They won't, but anyway, new characters is the way to make me pay for DLC. Always. @Alucard83 That's why I said they could check if a user owns already the previous version. They actually can. For those who already own it they could at least give a discount. Of course they won't. But they could. I'm not one of those who say ports should be cheaper because people already has those games. They shouldn't. Double-dipping is a personal choice and ports are for newcomers mostly. I'm saying, in this particular case, we paid for DLCs on MK8 (Wii U), we bought the game with the DLCs for Switch too (and they can check it) and maybe we should get something in return, as for new DLC. I would be excited to get new Mario Kart 8-content. I don´t see how a new Mario Kart could be anything better than 8 Deluxe. Wasted development time IMO since you will get less content and a less optimized game. Gameplay-wise nor visual-wise will there be big differences. Just add content over and over again to MK 8 and everybody will be happy. New tracks ( or old ones ) & maybe a New mode. How about voice chat? @Moroboshi876 I for one would happily trade in my Wii U copy and upgrade if it weren’t for the fact that I paid for all the non-returnable DLC on the Wii U - which Nintendo can clearly see on my account history. I've played enough of it on Wii U, gimme MK9 already. I am a simple man with a simple wish, make captain falcon a playable character in MK. We know he is never gonna get his own game again, but we can at least give him something else to be in then Just Super Smash Bros. At least in MK, he would be racing. @gaga64 That's what I'm saying, actually. I paid for those DLCs and not long after that... boom, a definitive version on the next system. Not fair. I’d rather Nintendo create a new game. And anyway, “updates” is pretty vague. It might just mean character tweaks and stuff rather than actual new content. Well, they’re adding a subscription fee for online play (let’s face it, that’s all Nintendo Switch Online actually is) so they’ll need some way to soften the blow (that, and/or have a huge E ticket title available at launch). @Moroboshi876 Well said. It would have been even better if they had added the “deluxe” part of the game as free or reasonably priced DLC to the Wii U version. That way everyone wins. More ways to play, not less. When they announced every fighter for Smash Bros at E3 I was hoping we'd get a Mario Kart 8 Deluxe announcement with every track ever DLC! So fingers crossed that might be this! I'd be okay with no Mario Kart 9 on the Switch if we kept getting track updates for 8. I need a reason to play alone, not to only use this with friends or strangers online. Maybe a carreer mode, story mode, etc. Including new tracks and characters is okay but will not add up much value to the game. Better be a shedload of stuff! Like at least another 16 tracks, 50 new vehicles and parts, 6 new characters, new weapons, the removal of coins as weapons! Diddy Kong and Pauline as playable characters would be nice. ARMS Cup, ARMS characters & ARMS Fighting Stadiums confirmed. Let's see.... They could bring in a slew of characters - Pauline, Diddy Kong, Kirby, Birdo, Spixies, Profesor E. Gad, Capitan Toad, etc. New stages - New Donk City, Odyssey stages, 3D World stages? I would definately buy more DLC for this game, it's one of the games that I always want to see more of because it's so fun! I won't get my hopes up.... But I will Dream. At this point my only worry is that I go out and buy this game only to find that Mario Kart 9 has been announced and is being released next year, still might get it though as there is no more fully feature Mario Kart out there. Sounds like a lot of people have a bit of Mario Kart overexposure. While I’m also cool with getting some dlc here and there, it would be really cool if they are actually working on Smash Kart. Honestly, I think Mario Kart as we know it is done. They went too far into a Smash direction with the doc. Just like Mario Party has morphed into Super Mario Party, I’d bet the Kart game does something different after 8, and Likewise Smash morphs into something different after Ultimate. @Moroboshi876 I kind of feel you, because I'm in the same boat. I picked up MK8 day one, bought all the DLC, and then pre-ordered MK8D. But I also sold my Wii U copy of MK8 before getting MK8D, and got about $30 for it. So MK8D ended up costing me about $30, net. The way I see it, that's a fair price to pay for all the enhancements, the excellent battle mode, and the ability to play an already great game anywhere I like. I really hope it's dlc. I'd love some new characters and tracks. @Dysnomia you been smoking d herb or what? I hope it's DLC in the form of new tracks but I'm very doubtful that's what he's referring to. My guess is that it's minor updates or something to do with the mobile game. Mario Kart 8 was my favorite game on the Wii U. I double dipped and bought Mario Kart 8 Deluxe....it was my second Switch game I purchased. So I would buy every DLC pack that comes out, if it's tracks. Actually, Smash Bros. Ultimate has spoiled me. Now I really just want a new Mario Kart game that has everything in it. Pauline and the t-rex as DLC character would be nice. @Lizuka My thoughts exactly. Switch definitely doesn't need a new standalone Mario Kart game, 8 Deluxe is pretty much near-perfection as-is. But I'd love to see new DLC tracks and even new DLC characters/karts. The game can be added to, freeing up development assets for new games while keeping a small team to push out new content for MK8D every now and then! Can we get a track builder? I feared as much. They build on this port...instead of making a totally new one! More cups or battle arenas? Hope this means I'll be able to use the Nintendo Labo Piano to drive through Music Park! He said this in context of the Labo update. They don't necessarily mean we will get content updates. @Gold_Ranger You're really jumping the gun to say this has anything to do with that leak. If we're talking about the same leak, it was talking about CONTENT. No content update was ever promised here, just updates like the Labo one. I think this version of Mario Kart should be put to rest now and a brand new Mario Kart made. The more dlc we get the further away a new game becomes. I won't be buying any more tracks if they are launched. You can only race around the existing tracks so many times before they become stale. Maybe the new sonic racer will replace Mario Kart for now. I'd rather want to see an entirely new Mario Kart title. Makes sense. If anything, they could even launch a new online mode for the launch of the Online subscription, being like "you can only play this new mode through the sub!" or just new characters and tracks to further bring new life into the game for online races and battles. I'm hoping for a double dash mode. Same courses. Different way to play. @Malcrash I'm on the same boat as you. One part of me is kinda bummed out that there probably won't be a Mario Kart 9 for the Switch, but Mario Kart 8 (Deluxe) is perhaps my favorite in the series yet. So if Nintendo's going to just give MK8D updates instead of making MK9, so be it I suppose. I would love to see a mission mode or a career/story mode, as well as a bunch of new tracks and arenas, but we'll see what the Big N will have in store for us. I would like to see a couple more battle arenas. Maybe Block Fort from N64 would be good. It would be nice if Nintendo made an exclusive bike and kart for anyone who has Mario Kart 8 wiiu tied to their account. The 4 dlc cups in MK 8 were pretty much half a games worth of extra tracks anyway, so if they added another 4 cups, were pretty much getting 2 full MK games in 1. @KayFiOS Will I have to use my Labo fishing pole every time Lakitu pulls me out of off-track? Mario Kart 8 is beautiful but the gameplay is so boring, so I'd prefer a new Mario Kart with gameplay more similar to the old ones. Since the Wii entry they are not really racers any more. @Euler I agree. I expected the new battle mode to be available as DLC on Wii U, like Breath of the Wild. They only annoyed people with that stupid decision and lost money. The battle mode on Wii U needs to be fixed and not everyone is going to buy a new console and a full-priced port for that. If they add 4 new cups, a handful of characters, and some new battle arenas into MK8 over a new game, I'd be totally satisfied. Basically, turn MK8 into their Mario Kart platform across the system's life. Plus, throw in a mission mode maybe? Please? @BlueOcean I'm not sure they lost any significant money there. MK8 sold 8 million over its whole lifetime, MK8D has sold over 9 million in 14 months. I understand the frustration, but from a business standpoint Nintendo could only lose money if they continued to invest in support for a console that has sold all it's ever going to sell. He probably just meant patches, not actual new content. @JasmineDragon I see what you mean but I think that you are wrong. Well, they lose money from people not upgrading to MK8DX and they annoy loyal users with these decisions. Besides, Breath of the Wild DLC is available on Wii U and it doesn't seem to be a problem for the Switch version to be successful. It's a question of being nice with your customers and Nintendo is not nice with their customers, they just seem to care about money lately. Costumer satisfaction is not in their guidelines anymore. @BlueOcean I disagree, the amount they lose from annoyed Wii U owners that won't upgrade is less than the amount they gain from the Switch version having exclusive content. Some of those annoyed Wii U owners will give in eventually too whether it's due to specific new content being released for the Switch version, the Wii U online servers being shut down or even a discount happening somewhere. @Grumblevolcano I don't think that is the case. @Radbot42 I agree that it is annoying that we have a new system built on the games of the last system. As an owner of both systems, the Switch has had a very dry library for me. However, I wouldn't get too worried about what Takahashi said here. Nothing about what was said guarantees or really even implies actual content updates. Takahashi was speaking in context of the Labo update, so further updates to Mario Kart 8 Deluxe could be just like that, as opposed to new content. We don't really know for sure either way, but I think it's more likely it's just more blah updates like that, than actual content. @Grumblevolcano Some of the Wii U owners will double dip, but some won’t even though they would have bought the DLC. We don’t have the DLC sales data either way, so it’s hard to know either way without making a lot of assumptions. But the fact they gave the Switch version of Mario Kart 8 exclusive content while the Wii U version of Zelda got everything is hard to reconcile with the idea that they know what they’re doing. And when Iwata was alive, they at least seemed to place value on consumer goodwill. For example, when the 3DS got a price cut very early in its life cycle (a necessary business decision for the console’s long-term survival), early adopters got a bunch of free games. They didn’t have to do that, but it was a nice gesture and something that sets Nintendo apart from many other big developers. Forcing Wii U owners to choose between missing out on some great content and paying $80 for $20 worth of content isn’t consistent with valuing customer loyalty (and probably not very profitable either). Nintendo isn't going to waste money upgrading a 4 year-old game on a dead console that is losing players by the day to its more successful Switch port. @westman98 They already developed the content, and what’s being proposed is that players be given the option to buy it without having to rebuy the game. Recall that Nintendo makes money when DLC is purchased. Nintendo wants people to buy a Switch + Mario Kart 8 DX, not to stay with the Wii U and buy DLC for Mario Kart 8. And I don't think there are enough active users playing Mario Kart 8 on Wii U for any DLC to be worth it. The only reason why Nintendo offered all the free games for the early 3DS adopters is because A) the price cut occurred a mere 5 months after the launch and B) the price cut was massive (in the US, the 3DS' price dropped from $250 to $170, which is a 32% price reduction). If the 3DS price cut happened more naturally (18-24 months after launch) and less aggressively ($/€/£50 price reduction), then I guarantee Nintendo would not offered any free stuff to early adopters. Hmm... I kind of hope it's a thirty/sixty dollar large-scale update instead of just three characters and two cups. I'm talking "Hey, for fifty dollars you get essentially a whole new Mario Kart tacked onto the past one." Treat it as a new game, price it as a new game, give us the content of a new game, and simply glue it onto the existing game. Eight cups, twenty characters, maybe eight new Battle Mode maps. That's what I want. There's no reason for Mario Kart to continue an actual cycle of "Here's a new game, we've traded some of the old content for some new content." Treat these party games like MMOs and constantly feed us big new expansions. @Euler There's a big difference, MK8 Deluxe is an enhanced port of a 2014 Wii U game whereas BotW is a game that launched simultaneously on Wii U and Switch. If BotW went the intended original path of being a Wii U game released in 2015, I really doubt any extra Switch content would've come to Wii U. @westman98 If nobody would have been interested in the new content, they would not have bothered developing it in the first place (instead just directly porting over the Wii U version). Of course Nintendo would prefer that Wii U owners buy the Switch version than the DLC. But there’s also a third option available to consumers, which is to not buy either. This would be the worst case for Nintendo, as they make no money. By making the Deluxe content exclusive to the Switch version (known in economics as product tying), only options 1 and 3 are available (which leaves more people to choose option 3 than otherwise would have). This is bad for consumers, and probably bad for business. The point of the 3DS comparison was that Nintendo had to make a necessary but very unusual business decision with the potential to make a lot of customers understandably feel like they’re being gouged (something Iwata wanted to avoid). Likewise, if it’s necessary to take the unprecedented step of porting over the Wii U’s entire first-party library (to prevent release droughts and because not many people bought them the first time) then they should do something to make sure Wii U owners don’t feel like they’re being taken advantage of. Asking me to buy an $80 game twice over the same five year period (with a straight face) feels like gouging. @Grumblevolcano I don’t see why that matters. The whole point of DLC is that the game can continue to be updated after release without the need to buy it again. When the game originally came out isn’t really relevant. Given how well Mario Kart 8 DX has sold and continues to sell, I dont think Nintendo is concerned at all about the number of people not buying the game due to them feeling "gouged." 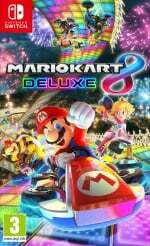 Nintendo should update Mario Kart 8 DX with DLC, connectivity with the upcoming Mario Kart Tour, and/or Labo support, rather than updating an old version of the game on a dead, discontinued console. @Euler It is relevant. Outside of very rare cases (e.g. Rocksmith 2014, Shovel Knight), last gen versions of games are not supported when current gen versions come out if they are not released at the same time. So no Mariokart 9 yet? The PS3/360 version of GTAV has sold a whopping 40 million copies, but Rockstar stopped updating GTA Online on PS3/360 years ago. Why? Because they want people to upgrade to GTAV on PS4/XB1/PC, and because the active playerbase on the PS3/360 version of GTA Online is small and shrinking by the day. The same applies to Mario Kart 8/Mario Kart 8 DX. Haha, they're not going to add new tracks. It'll just be minimal updates like the Labo inclusion. Mario Kart 8D is amazing. I honestly can't imagine how it could look better or have another gameplay hook. That being said, there are possibilities. More tracks based on new franchises, a Diddy Kong racing style adventure/ mission mode, an F- Zero last kart driving/ battle royale mode (which is crazy popular atm) or #bringbackblockfort. Would love another 8 - 16 courses and for them to double the multiplayer arena count. I can see why some may want to just get MK9 but that’s be a lot more effort and they can presumably do both. That and I don’t have too many issues with the fundamentals of 8 (which I can’t say for Wii) so I’d be happy for them to build off that rather than add a new entry. I liked MK8... but not enough to spend another $60 to play it on another console, as I'm one of the few who apparently don't care about the Switch being portable. Though I will admit, unlike the other Wii U ports, they actually put noteworthy effort into this one... not $60 worth of effort, but points for at least ATTEMPTING to justify it. @westman98 Yes, I know that. Nintendo is too stingy. @N64SNESU Same here. They released DLC for Breath of the Wild on Wii U, just do that with Mario Kart 8. They should have released the fixed battle mode for the Wii U version of Mario Kart 8. Nintendo has released two consoles this generation (not counting 3DS) and still don't bother supporting both for a little while. In the meantime, you can play Xbox and Xbox 360 games on Xbox One at no extra cost. Nintendo is so stingy, they expect their most loyal fans to pay twice for everything. Some people still defend that because they are fanboys. If Nintendo releases a Switch successor in two years that is not backwards compatible, not cross-buy, not cross-play and not cross-save, I want to know how happy these people are about that and everything that Nintendo does whatever it is. Those fanboys are also extremely selfish, they don't want other players to have the choice to play the same content on another Nintendo console, they only care about themselves and their Nintendo worshipping. My guess is that he means they'll be further Labo toys to use with it not new content. @stuie1234 I think that too, but this is the second time they kind of troll us with DLC for MK8, the first time was the Kalimari Desert tweet made by Nintendo. @westman98 Mario Kart is an E ticket franchise. The last three instalments (DS, Wii, and Seven) sold 24 million, 37 million, and 17 million units respectively. Unless the Switch is a total failure, the Mario Kart game will sell well whether it be Mario Kart 8 + DLC, Mario Kart 8 Deluxe, or Mario Kart 9 (but there's only going to be one). So "It sells well" doesn't really answer the question of whether making all of the Deluxe content exclusive to the Switch version was the best move on their part. I agree with your second part, the ship has set sail on updating the Wii U version. After all, if they released the DLC now that would screw over the people that already double-dipped. And it does make sense they would release more content for Mario Kart and Splatoon 2 (as well as another E ticket title) to go with the launch of their long-anticipated subscription fee. That being said I'm still hoping that, since the launch season is now over, there are no more deluxe ports in the future. As for the GTA analogy, wanting people to upgrade isn't their reason for not supporting it. It's more because the old consoles did not have the technical capacity to handle the new DLC (though Rockstar was still understandably criticized for the decision, as there was no way for PS3/360 players to upgrade to the new version without having to pay full price for the game). @Grumblevolcano Paid DLC has only really been a thing for the last two console generations, so we don't really have a lot of precedent to go on. With PC gaming though, expansion packs keep coming out and the same game continues to get supported even decades after its release. WoW, for example, is getting an expansion pack in August - 14 years after its original release. And if what Sony and Microsoft are doing is any indication, the line between PC gaming and console gaming is starting to become fuzzy. This may even be the last or second-last console generation, if what Ubisoft's CEO said is correct. I really hope they don't add more tracks. I've got MK8 for the Wii U so I saw no reason to buy the game again and am holding out for MK9. If they start adding tracks to 8, that all but kills any hope of MK9 on the Switch. But the hero to save the day might be Sega, who is making a new Sonic Racing game. @Euler There's not really a successor to PC as such which allows PC games to be supported for so long. If Sony and Microsoft take that path with Playstation/Xbox then we'll be seeing some games for those which are supported for like over 10 years. But for Wii U to Switch, it's more like PS3 to PS4. The first few years are mostly going to be last gen ports with sometimes extra content that the last gen version doesn't get. I would 100% buy a season pass worth of mixed old/new content like they had on the Wii U version. That would be awesome if they eventually got every past track on here. @N64SNESU what in the world are you talking about fool? @Dr_Corndog It is. And I didn't sell the Wii U version. What I'm saying is people double dipping could have had something in return. I was lucky to secure a copy of MK8D for 30 instead of 45-50 on a sale, but I was hesitating about buying it again.